As much as I love living in the countryside, I'm a city girl at heart. Nothing makes me happier than a day out in London, and I will always jump at any opportunity to go. 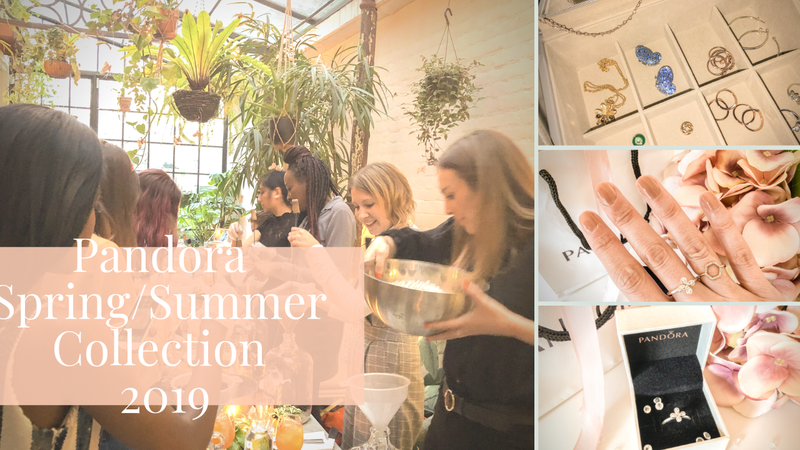 If I'm honest, shopping trips probably account for about 90% of my London visits, but I do like the odd bit of culture every now and then too! 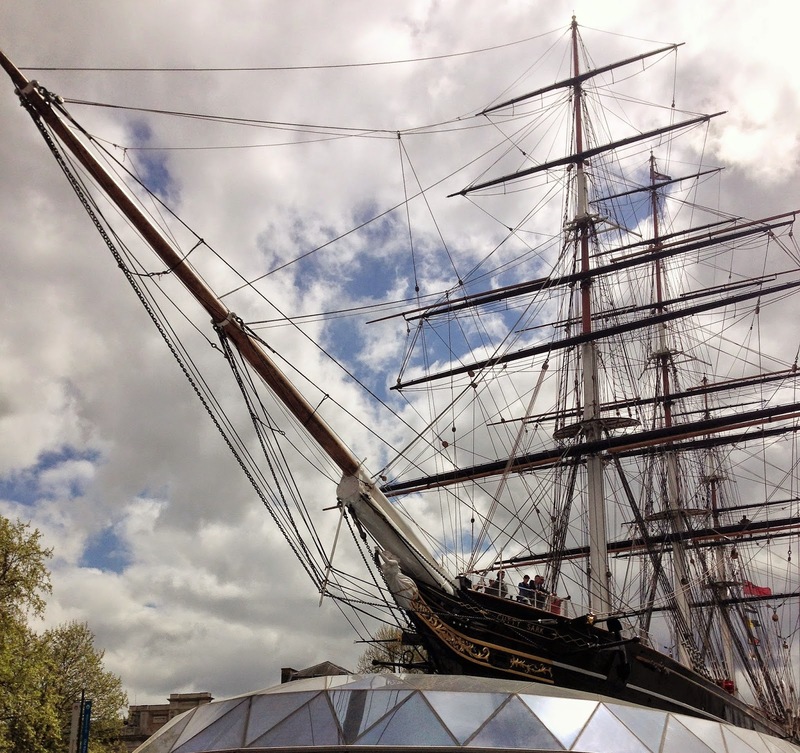 Over Easter, I got the chance to visit the Turner exhibition at the Greenwich Maritime Museum with my family. Now I'd love to recommend that anyone who loves art should go to this exhibition if they possibly can, but there wouldn't be much point in me doing that, because it's already finished. I know, I know, why am I teasing you like this, I hear you ask. Well, unfortunately, we only found out about it at the last minute and were lucky to catch it ourselves. What I will say though is that I would definitely recommend looking out for any future exhibitions of Turner's work if you're an art lover. He was fascinated by the sea and devoted a lot of his career to trying to capture its movement, colours and light. Some of the paintings were really beautiful and I could have stared at them for hours. 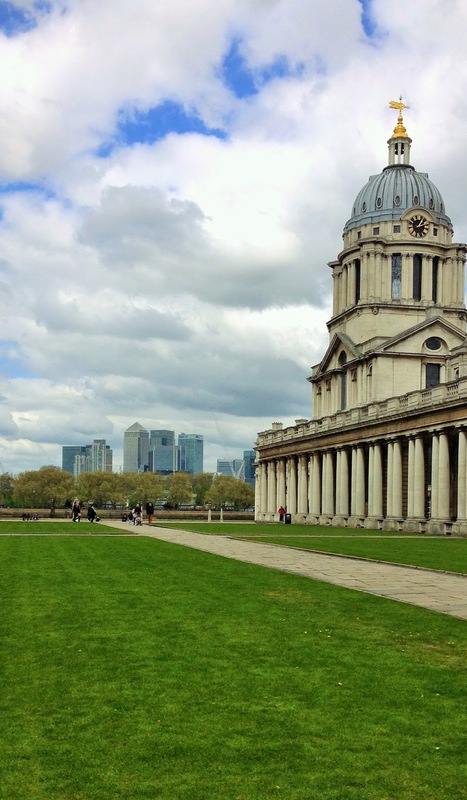 While we were in the area, we took the opportunity to take a little stroll around Greenwich, which was thoroughly enjoyable. There is just something about London. Every time I'm there I always feel that little bit more alive, even if I've felt groggy and tired on the journey, as I did on this occasion. Everywhere you turn there are a thousand and one interesting things to look at. Greenwich is definitely no exception and I left with a long list of things I want to go back and visit. 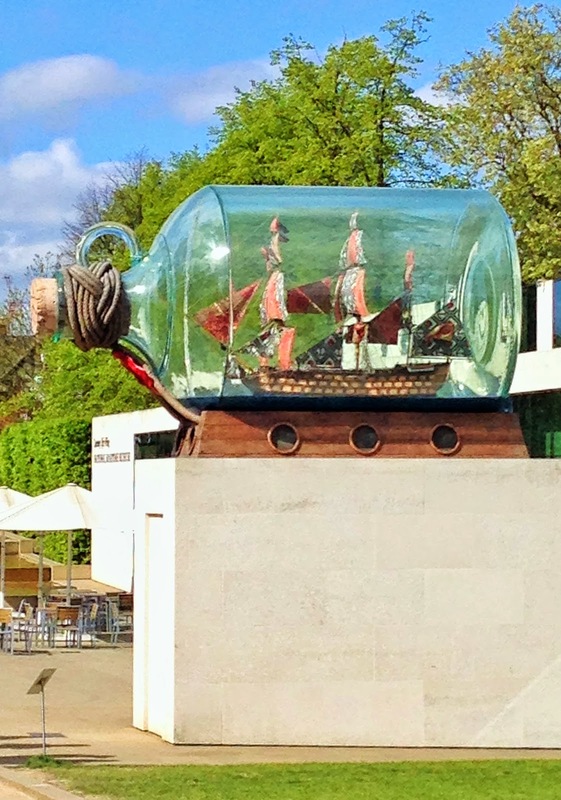 How cute is this giant ship in a bottle? This is just outside the entrance to the Maritime Museum. 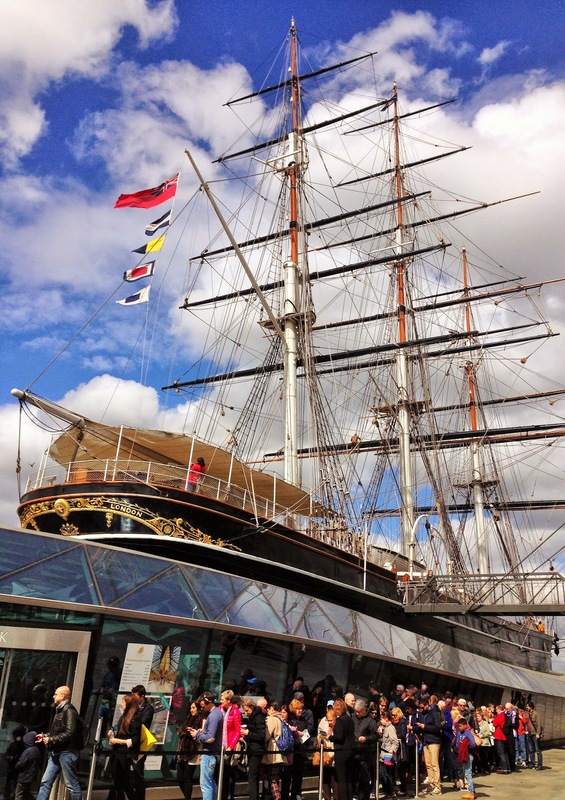 The Cutty Sark. It's quite an amazing sight to see this beautiful ship standing majestically in the middle of the urban sprawl. She was a cargo ship, built in the second half of the nineteenth century to carry tea from China to Britain. She was designed both for speed - the first cargoes to arrive commanded the highest price - and for strength, to withstand all the storms the high seas could throw at her. I'm doing that history lesson thing again, aren't I? The old and the new. I love this - London's history unfolding before your eyes. On the right is the Royal Naval College. On the left, of course, is Canary Wharf. To finish up, here's what I wore. Yes, I'm looking at the floor again. I can't seem to take these photos any other way. Perhaps I'll learn in time?! 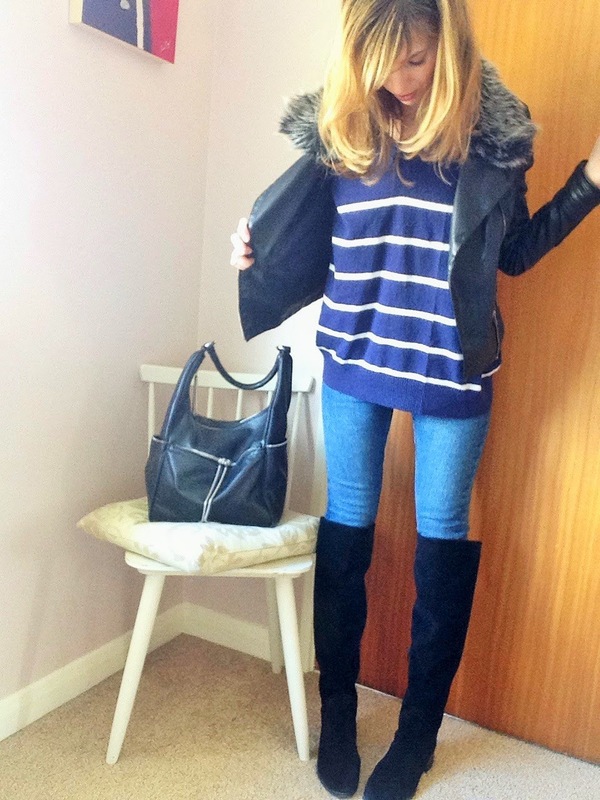 The outfit itself is not terribly exciting, and it looks like I'm dressed for the middle of winter, but it was cold in London that day, I tell you! 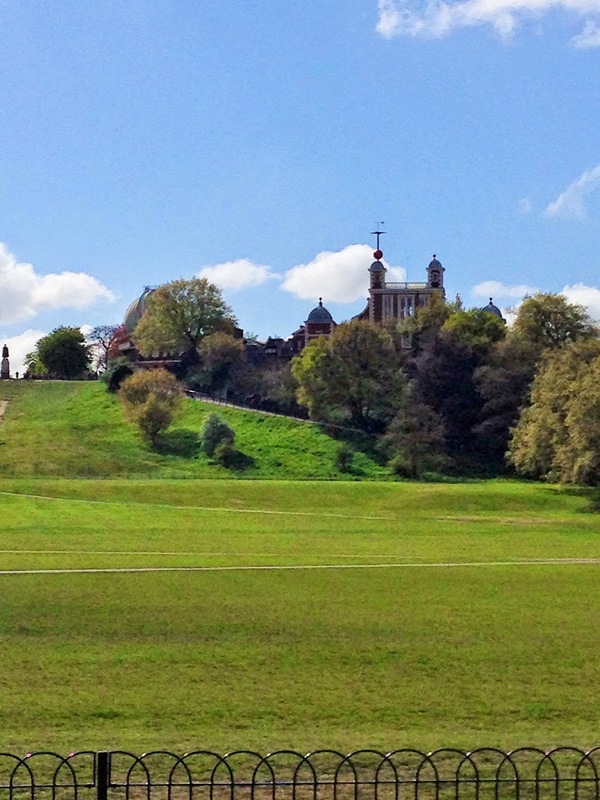 Have you been to Greenwich and any of these sights? Which of them would you recommend? Bonus points if you've seen Longitude! Can't wait to check out Greenwich soon, haven't been down there in ages! Great photos! the giant ship in a bottle looks very awesome! I love Greenwich, I love the food market and the view from the top of the hill the most, sitting at the top of the hill looking out over London might just be one of my favourite London things, definitely one of the best views in my opinion.